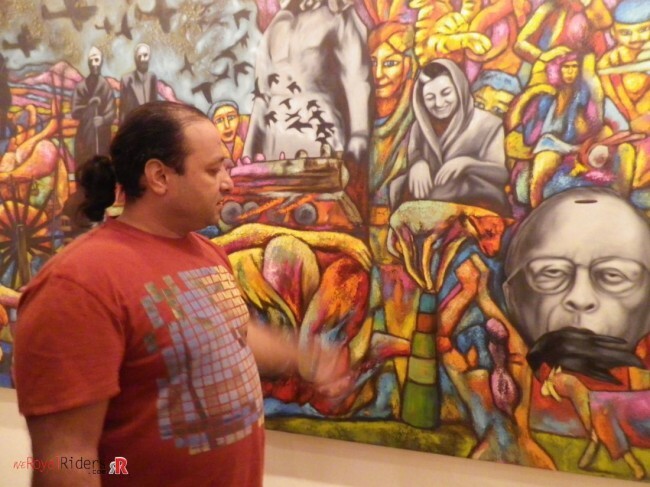 There was a prologue on our web site a few days ago on one of our members, Sabya Sachi Ghosh’s extraordinary painting skills, and his upcoming art exhibition “A World of my Own” at India Habitat Centre Delhi. This write up is the second and concluding part of it. Long before the world would come to know about his exhibition, through leading national newspapers, magazines and journals on arts and interiors, we were already there on Sabya’s invitation list. All of us were looking forward to his exhibition with much anticipation, as this would be the first time we would attend an art exhibition where the artist himself would share his insight on his perspective, inspirations and the story behind his creations. 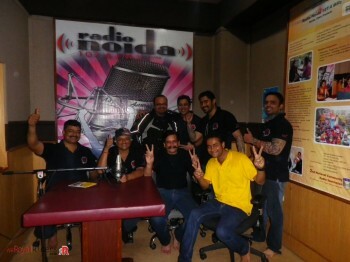 We had one more reason to do this ride on Sunday as our club had an invitation from Radio Noida 107.4 FM, to be a part of their Talk Show, hosted by RJ Gagan. 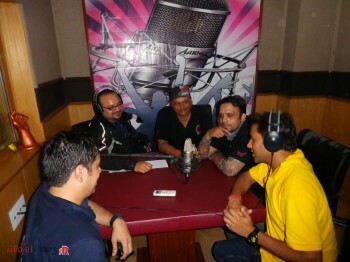 This was surely the first time we would be in a recording studio of a Radio Station. 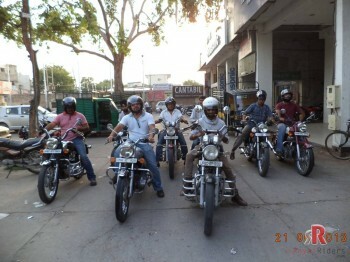 The ride was to commence at 6 a.m. and as per instructions we assembled at 5:30 a.m. at a famous tea shop, at Delhi Gate. 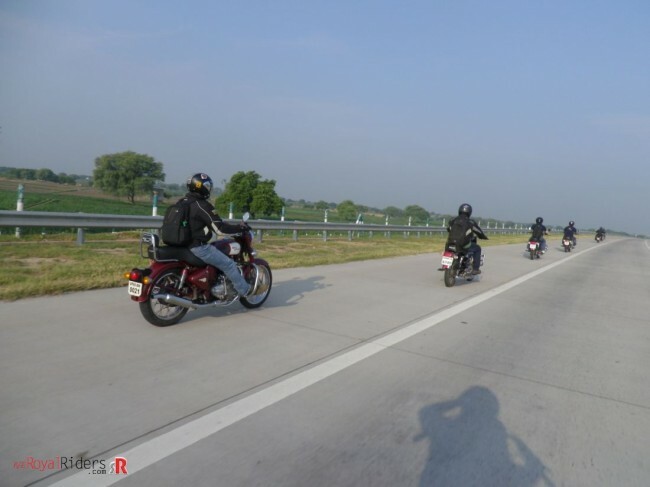 After a briefing session by RB (call sign of ride captain Rajesh Chauhan), about the schedule for the day and route plan, we hit the road on the 170 kms long Yamuna Expressway, connecting Agra to Delhi. This limited access, toll road is a sheer bliss for any modern motorist. The 6 lane highway is as good as any around the world. 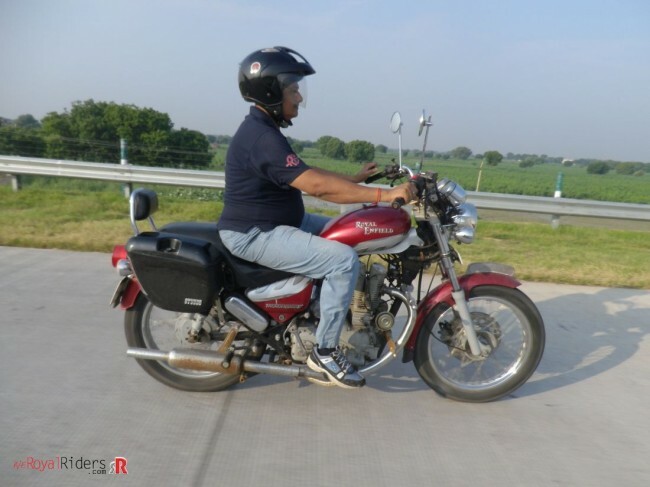 The smooth tarmac and few motorists on this expressway is always an open invitation for riders to test their latest engine modifications and performance updates. 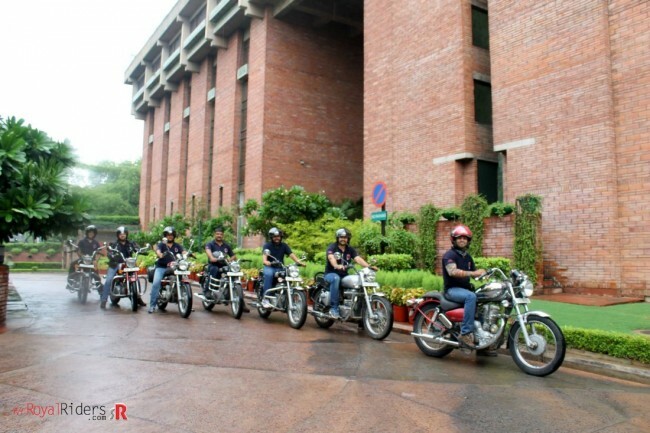 Hence the bikes were soon zooming at their upper rev range. 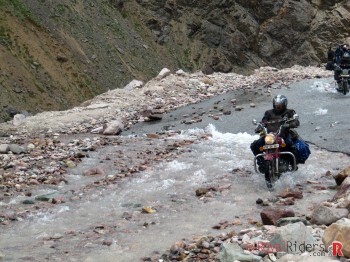 But after few minutes of fast driving we resorted back to our disciplined way of riding. After a few hours we reached Noida Film City, where we were caught unaware by heavy rains. As such we had no option but to enter the recording studio completely drenched. The recording went very well, where we spoke about a lot of issues related to leisure motorcycling and how it was different from daily commuting. 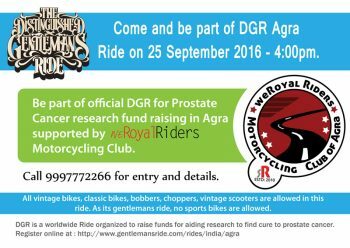 We also shared how we were contributing to the society in our own little way. After finishing the talk show. As per schedule we arrived at India Habitat center, where Sabya and his wife were waiting for us. A full hour was spent to understand the intricate details of each artwork, from the master painter himself. What was encouraging was that Sabya had actually sold more paintings than most other artists who exhibit here. This called for a party, but that will be another story. 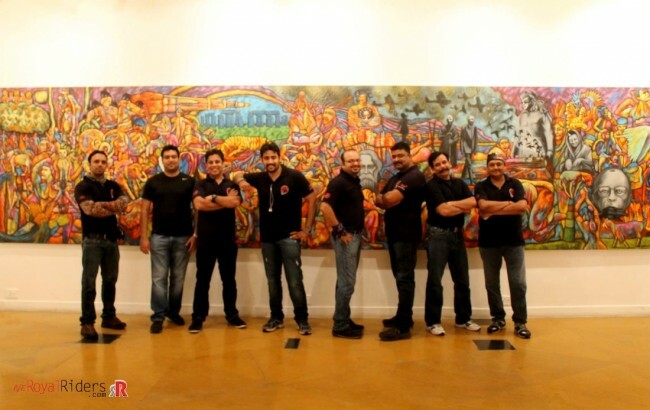 Our Sabya Sachi Ghosh – the talented painter. Later, taking suggestion of Amit James, we decided to have lunch at “Dilli Haat” a place where the whole of India converges at one place, due to the presence of arts, crafts and foods from all parts of this great country. Everyone wanted to try different cuisines, so we split up in smaller groups to have lunch at stalls of our choice. After stipulated time, we went on a shopping spree for easy to carry souvenirs. Sabya took us to Bengali Lounge. 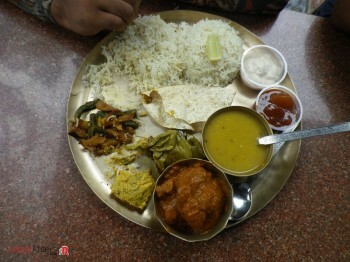 The lunch at Dilli Haat. As Sabya was expecting some more visitors at the exhibition, we returned back to India Habitat Center to drop him, and to pick our belongings. We left the venue after exchanging the usual pleasantries. 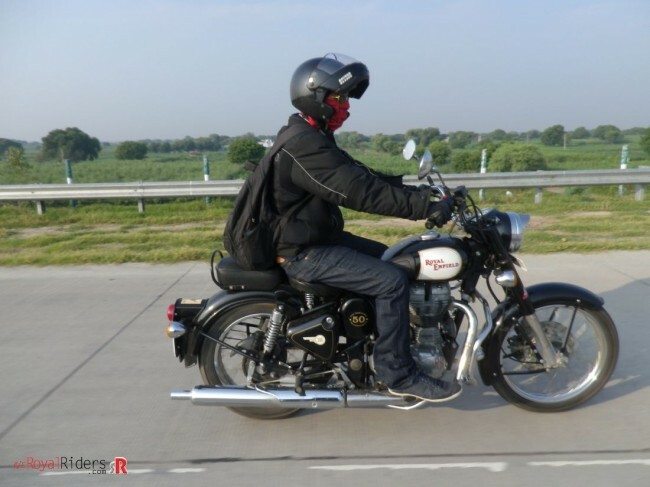 As it was a Sunday, Delhi’s traffic was less and well behaved than normal. 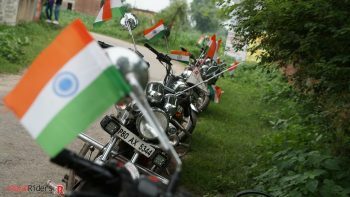 Roads were occupied only by family cars, sports cyclists and weekend motorcycling clubs. Hence we could make our way back much quicker. 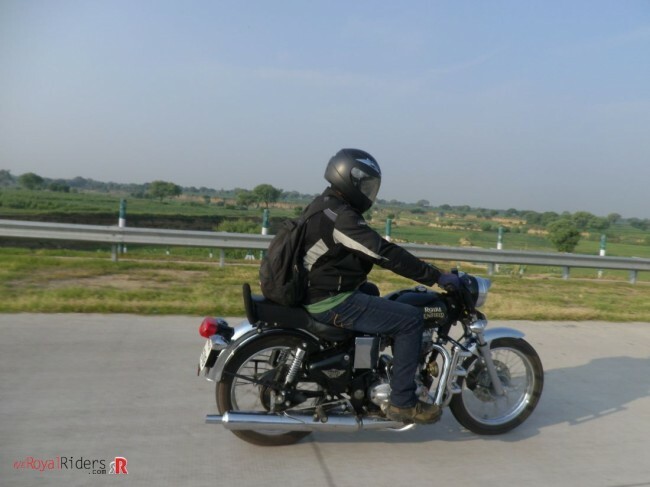 After a fuel stop, where we chatted up with more like minded bikers, we picked our way for the Yamuna Expressway. 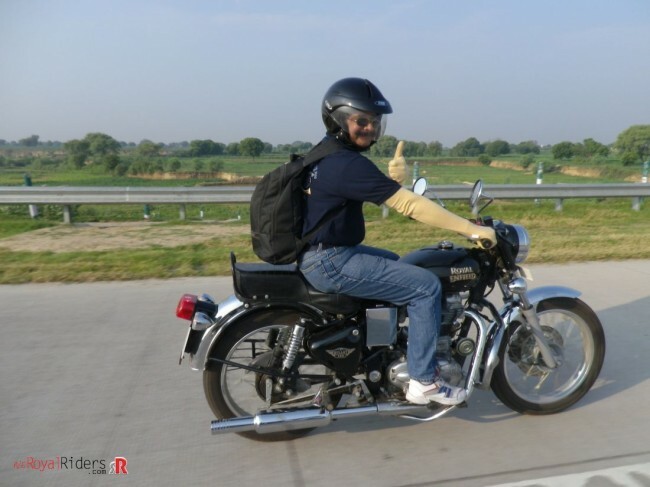 Harry Khan (call sign for Harish Khandelwal) who is our lead rider has an eye and the skill to pick up great places to stay and eat even while he is riding. 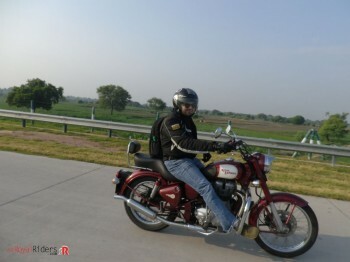 He spotted a newly built café “Highway Masala” and indicated us to stop for refreshments. As always, his choice turned out to be perfect. This eatery is airconditioned, spacious, airy and has a great ambience. As we had a fulfilling lunch, none of us wanted to eat, so we decided to chill over some cold coffee served here. The coffee was excellent. We spent about half an hour discussing on a Sunday well spent. 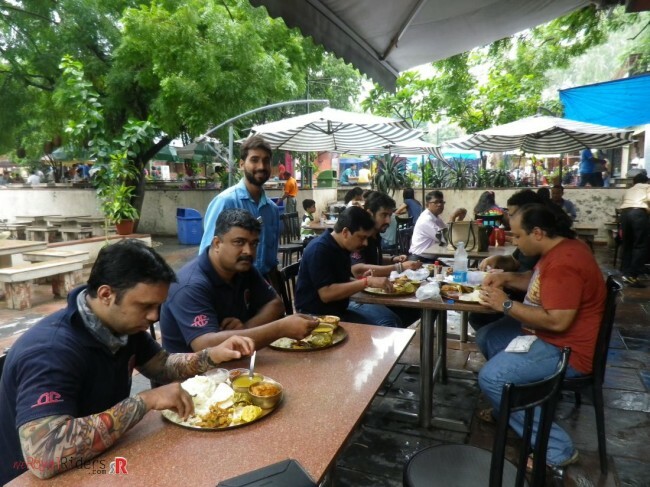 A few pictures were taken with the eatery in background, by Mohsin who is our unofficial, official photographer. Digvijay and Viks (Vikram Shukla) were busy instructing Mohsin on better angles to take the pictures, much to the delight of everyone. 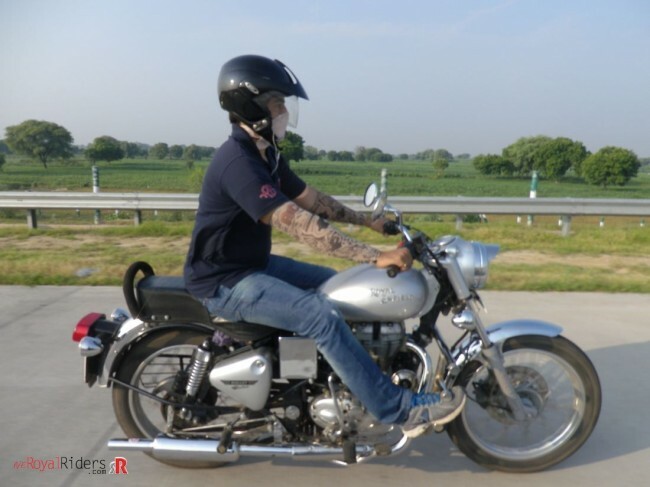 At the last toll station, riders stopped for a comfort break, where a note of thanks was shared by HB (call sign of Himanshu Bansal) with everyone who participated on this amazing 456 kms ride. 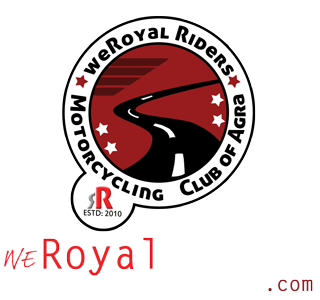 Look out for this space for more of such activities by weRoyal Riders.